Which device to choose ? DRS Ground Exper at Oak Island ! GROUND EXPER PRO : Incredible depth and perfect metal identification ! This is the new edition of the Ground Exper. 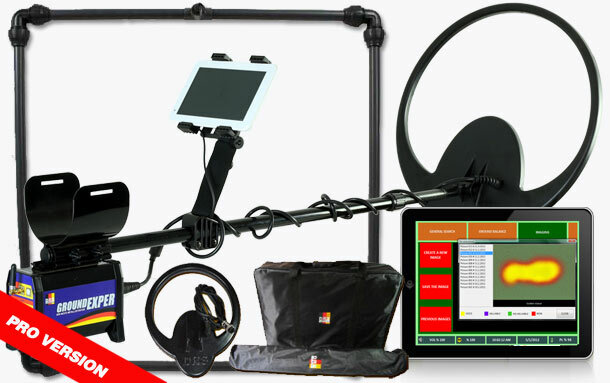 This PRO version features wireless connectivity, adjustable discrimination on 5 levels, tablet control protocole and lots of software improvements for better performances. It also comes with complete package: 2 coils, 2 chargers and bags. 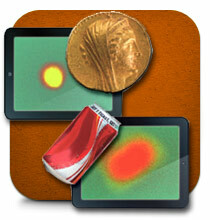 Ground Exper PRO is a professional treasure detector. We're not dealing here with a simple hobby metal detector to find coins 20cm below the soil. This detector that has been engineered in Germany is made to reach depth up to several meters on large targets such as hoards, relics and weapons. It features a lot of innovative technologies such as bluetooth control unit, intelligent discrimination system and accurate image display of target with metal and depth. Ground Exper PRO is the first metal detector being able to show you the shape of the object below your feet. Ground balance is adjusted automatically in 4 seconds regardless of the mineralization of the soil. 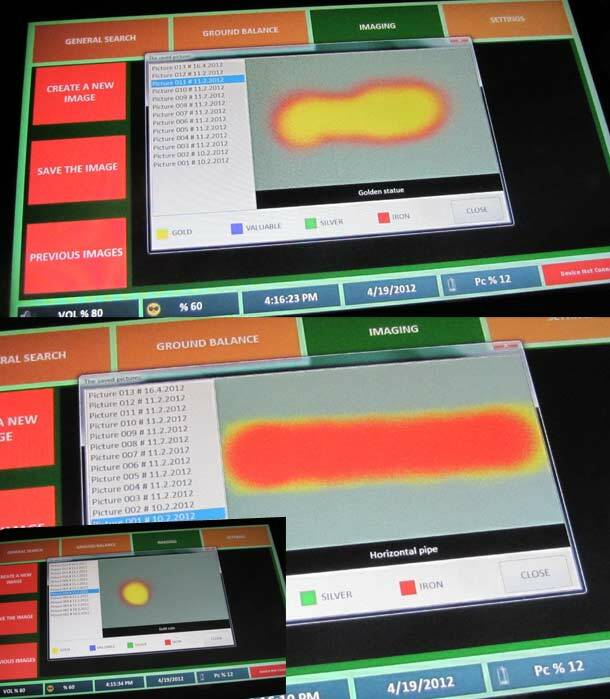 Once tuned, software will automatically adjust to mineralization level. 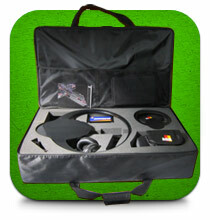 Therefore even treasure hunters that have never tested a professional detector can easily use Ground Exper PRO. 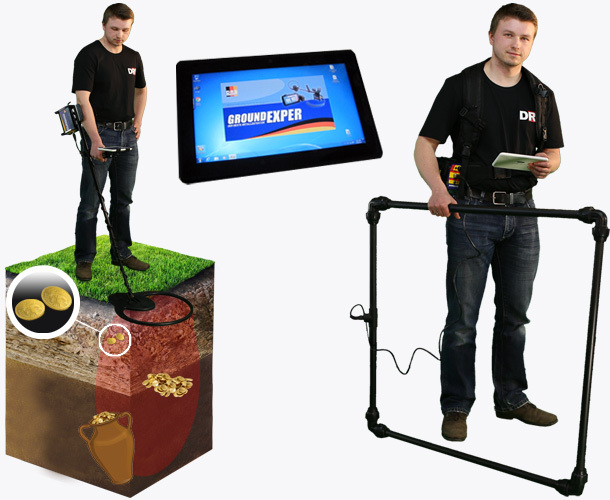 The standards of treasure hunting will change with Ground Exper PRO. We offer custom versions of our programs depending on the country you're living in and the nature of finds/metal that can be made in your area. No other metal detector manufacturer offers this kind of approach. Pulse Induction 1×1 meter coil allows you to reach incredible performance up to several meters on any kind of soils whatever your country is. 27 and 48 cm coil are also included in the package for places with limited space where the 1 meter coil does not pass and for small targets. Ground Exper PRO also brings perfect metal distinction with never seen before target display. It comes with a Android operating system multitouch multicore tablet PC that connects with control unit with Bluetooth. Our Lithium Ion battery system runs without interruption for 8 hours. Our 1×1 meter frame is assembled in a matter of seconds and is much more resistant than other frames on the market. We can also offer 2×2 meter and 3×3 meter frames for depth never seen before ! Headphone, regular and car chargers are both included as well as carrying bags for the unit and the frame. 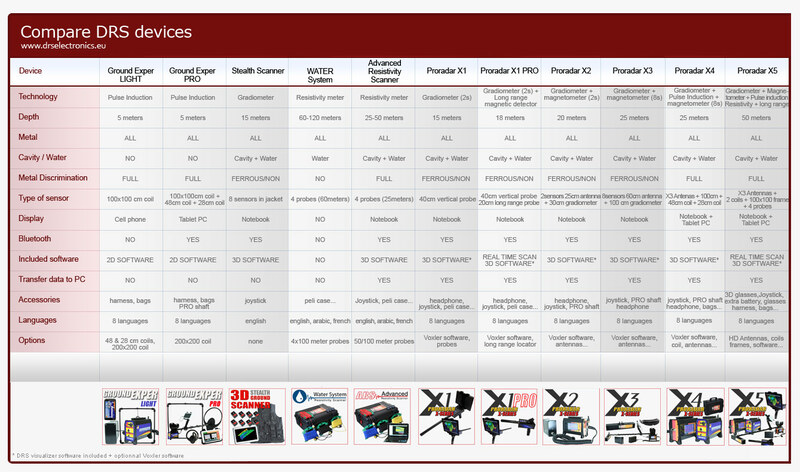 10 reasons to choose Ground Exper PRO ? 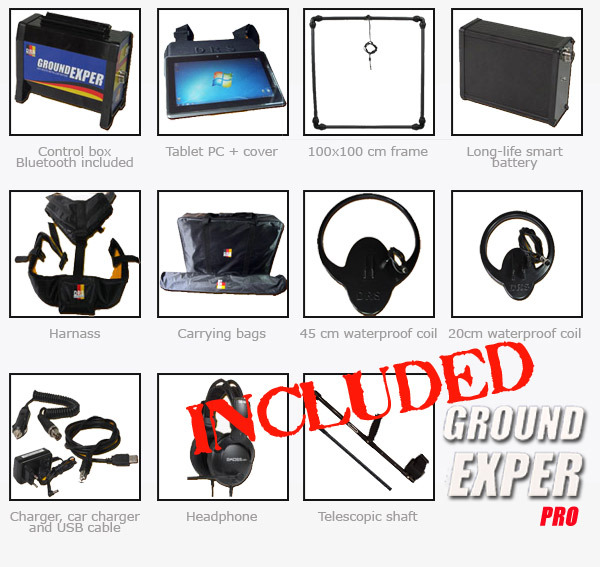 2) Ground Exper PRO offers never seen before metal discrimination for a pulse induction metal detector. Get rid of big iron rusty objects ! 3) Ground Exper PRO let you see the shape, metal and depth of the object before you even start digging. 4) Ground Exper PRO comes with all accessories and 2 extra coils, as well as Wireless connectivity. 5) Ground Exper PRO is an ever-evolving machine. You can add new metals to its database. You can control it via tablet PC or cell phone. 6) Ground Exper PRO engineers offer optimized versions of their products for the region of the world you live in. 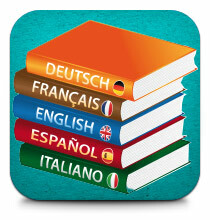 It comes in 9 languages : Turkish,Arabic,French,English,Chinese,Russian,Spanish,Bulgarian,German. 7) Ground Exper PRO features automatic static and mineral elimination: get rid of all EMI ! 9) Ground Exper PRO automatically ground balances according to mineralization level of the soil. 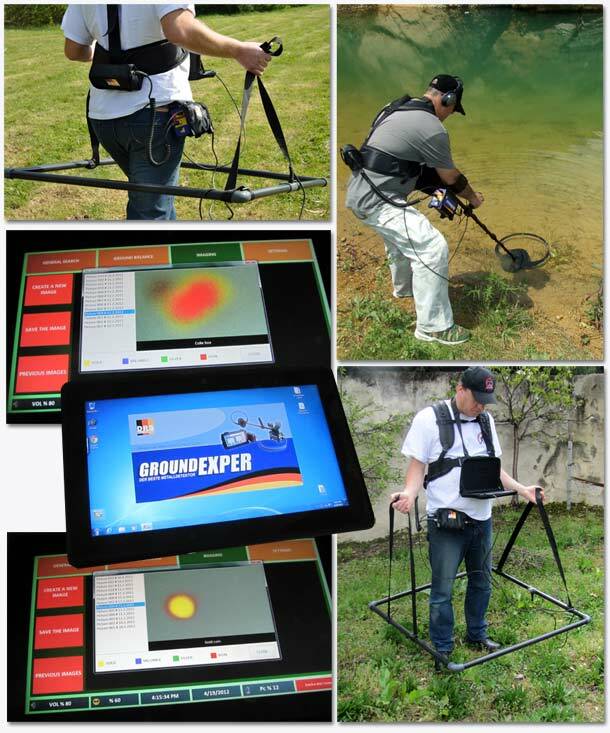 Ground Exper PRO brings you even more and enhances your whole treasure hunting experience: thanks to the tablet PC supplied with your system, Internet, Skype, Google Maps (satellite views); WiFi and everything you expect from your computer is at the tip of your fingers. You will get to the result directly without needing any other computer or going through the problem of transferring data. You may easily manage all functions thanks to the user-friendly control panel. So far, the biggest problem for treasure hunters has been the worthless items that can be found under the ground. Aluminium cans, nails, caps, horse shoes and rusty large pieces of iron are nightmares. Ground Exper PRO will allow you to save time and efforts providing you tips on the shape, metal and depth of the target before you even start digging. 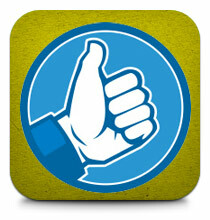 Ground Exper PRO program is fully customizable. You can select the metal you want to dig on, and the ones you wish to reject. You may also teach Ground Exper PRO “new metals” that will be stored in the control unit database. Although mainly dedicated for large target that lay deep buried in the soil, Ground Exper PRO is also efficient on smaller objects such as coins thanks to the 26cm coil. 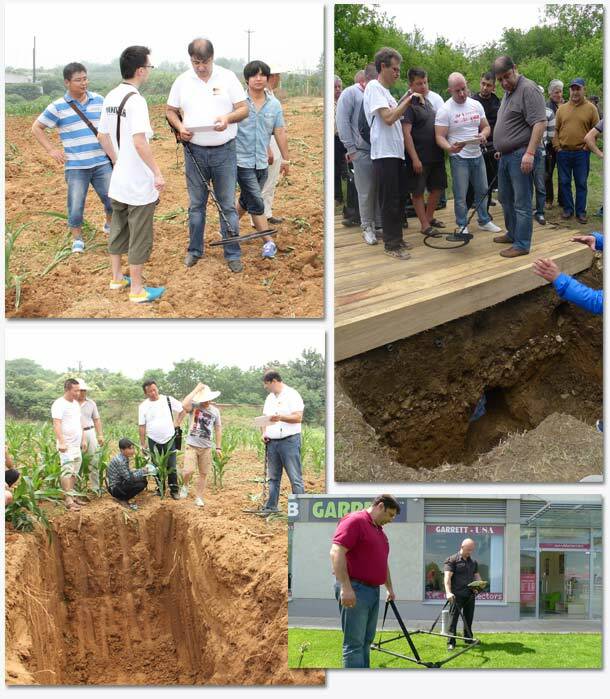 Before Ground Exper, if you want a professional detector designed for treasure hunting that can reach several meters of depth, usually you have to use all metal mode Pulse induction metal with a one meter coil. Sometimes those units can get rid of non corroded ferrous shallow targets, but when you go deep below the soil they get confused and let you dig on iron and junk targets. Ground Exper now offers perfect discrimination. It can easily get rid of small or large iron objects whatever their degree of corrosion is. Ground Exper also makes difference between highly and medium conductive metals (such as mixed metals). It will also display an alert when reaching gold. You can select which metal you want to dig for and which ones you want to get rid of using one of the 5 presets: highly valuable, valuable, gold, ferrous, all metal. In this new PRO version, you can also manually increase or decrease discrimination on 5 levels to make sure you do not miss low conductivity targets. Finnaly we offer custom version of our programs depending on the region you're searching. For instance, gold standard/purity is usually different from countries to another. Our engineers work on local metals and finds to offer the best presets for every country. For instance, we have a special version of our detector for China. 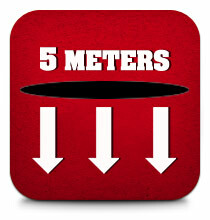 Reach targets up to 5 meters ! Ground Exper PRO can be controled via included tablet or a cell phone running under Android. Access to all settings is made through our software. No need for an extra computers to analyse data. Everything is processed directly on the screen. Ground balancing that is ususally a pain to adjust with Professional metal detectors is tuned automotically in just 4 seconds making the Ground Exper a very easy to use detectors even for beginners. It's also multilingual coming with menus in 9 languages (Turkish,Arabic,French,English,Chinese,Russian,Spanish,Bulgarian,German). • You can also control your Ground Exper PRO with your Android Cell phone. Depth up to 5 meters ! Ground Exper offers never seen before metal discrimination for a pulse induction metal detector. 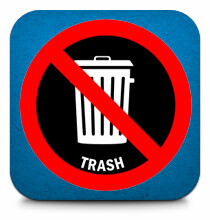 Get rid of big iron rusty objects ! See the target before you dig ! Ground Exper let you see the shape, metal and depth of the object before you even start digging. 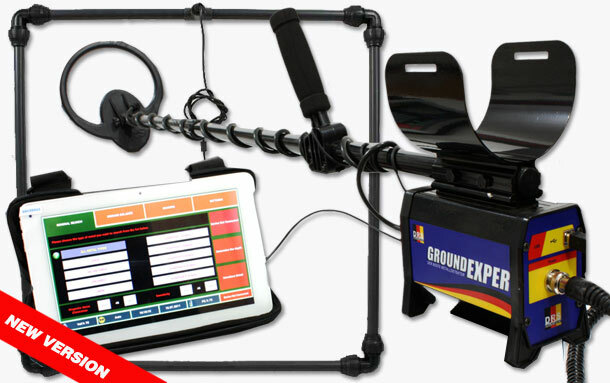 Ground Exper PRO comes with Tablet PC, all accessories and 2 extra coils, as well as Wireless connectivity. Ground Exper is an ever-evolving and intelligent machine. You can add new metals to its database and teach it how to identify them. 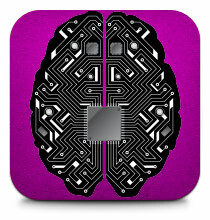 You can control it via tablet PC or cell phone and update programs. Ground Exper engineers offer optimized versions of their products for the region of the world you live in. Finds, metal composition(of gold) have been analysed and were set up in the Ground Exper. Furthermore, it comes in 9 languages : Turkish,Arabic,French,English,Chinese,Russian,Spanish,Bulgarian,German. Ground Exper features automatic static and mineral elimination: get rid of all EMI ! Ground Exper automatically ground balances according to mineralization level of the soil. We use only top quality components. Our detectors are backed by a two year warranty. 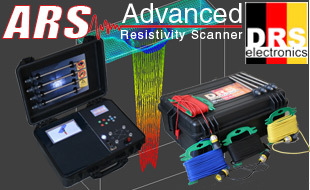 Our Advanced Resistivity Scanner (ARS) allows you to look for metals with discrimination (gold, copper, silver, iron), gold veins, minerals, caves/voids and even water. This is achieved through resistivity analysis. Resistivity is an intrinsic property that quantifies how strongly a given material opposes the flow of electric current. Click on "choose your device" below to compare all our devices. Please feel free to contact us or one of our dealers if you have any question on our devices. We have distributors all over the world where you can find our full range of products and accessories. 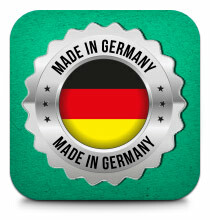 You can also buy directly from our factory if there is no dealer in your country.